May 12, Cagayan de Oro – The homegrown artisan ice cream brand, Moonsky & Sunny, formerly known as Freezie, relaunches at Ayala Centrio with more than 20 flavors to choose from! 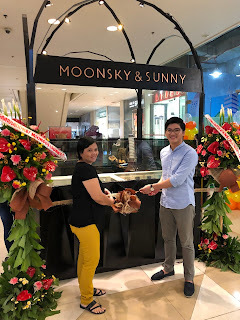 “I am thrilled to relaunch Freezie in Ayala Centrio as a revamped brand, Moonsky & Sunny. It sports a more sophisticated and authentic look that embodies the spirit of its biggest fans, the millenials.,”says Jayhan Regner, co-founder of Moonsky & Sunny. Created with the finest ingredients, Moonsky & Sunny features its new flavors Tea-Mangosaurus-Rex, seeped to perfection in the finest black tea, and Amaretti e Varonnica, infused with Italian almond-flavoured liqueur. Even the everyday becomes a special treat with refreshing coolers that goes perfectly well with ice cream. 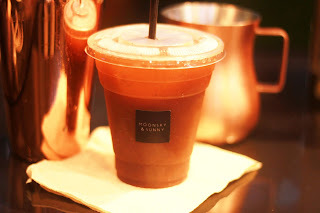 Moonsky & Sunny will shake and serve an exciting selection of drinks starting May 12 with their special mix of strawberry with calamansi and pineapple with ginger. It was a little over a year ago when it all started in the family’s pantry. Now, the homegrown brand has grown to six branches, three in its hometown of Cagayan De Oro and the rest in Cebu. From being a local brand, they look forward to bringing their creamy cool treats to other cities. “We pour a lot of thought and creativity in crafting each of our unique flavors. 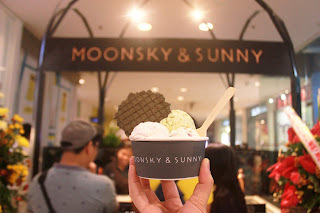 From whisking together that perfect blend to brainstorming on witty and punny names like Matcha Do About Nothing, Finding Duri, and Lemon Lemon Sinta, what we hope will make everyone come back is that sense of wonder and surprise that they get every time they try our ice cream.,” Jayhan adds. This local brand is slowly becoming a household name, not just in its hometown, Cagayan De Oro, but as well as in Cebu, reaching places one scoop at a time.